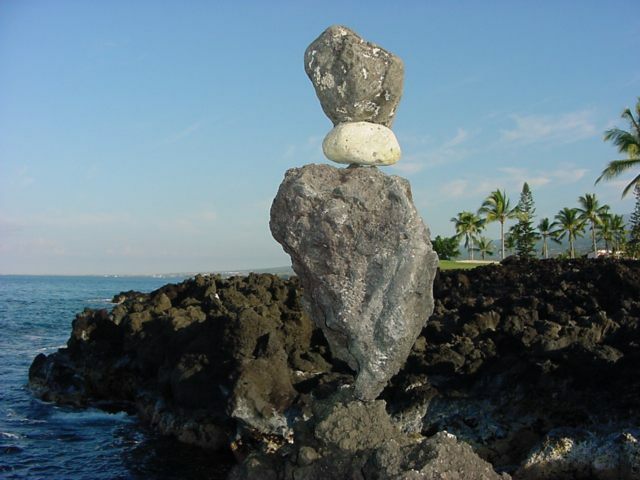 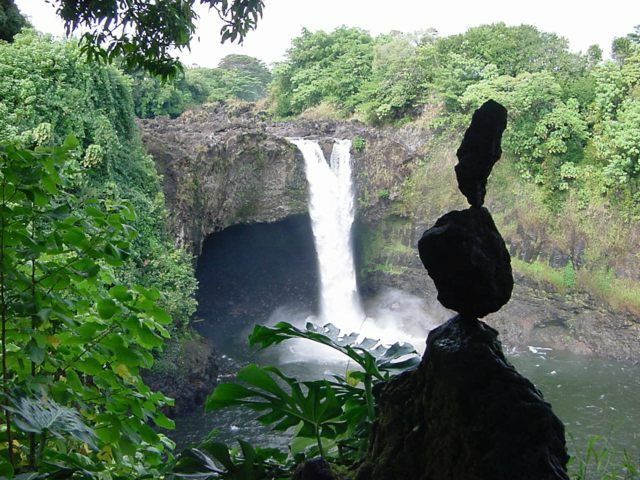 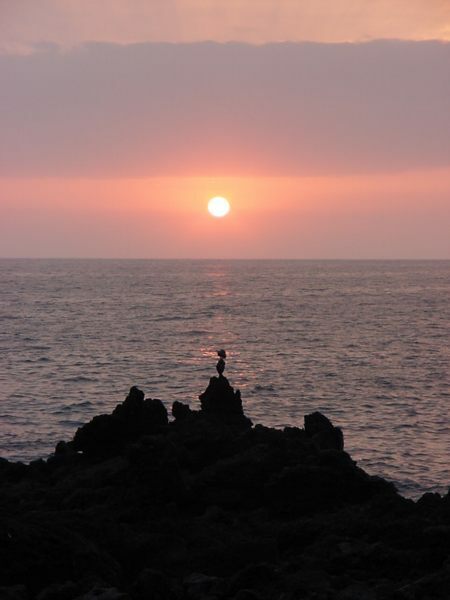 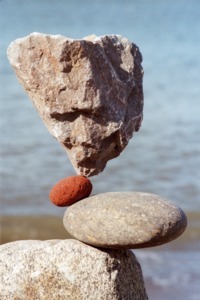 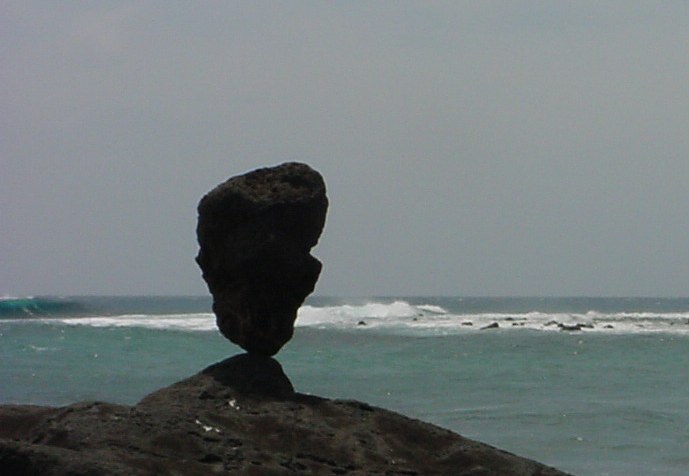 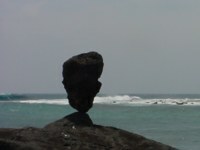 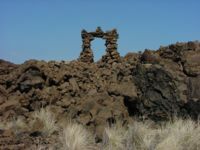 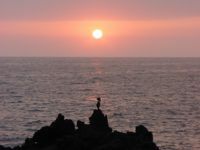 Although the Big Island of Hawai'i is an easy place to balance rocks, it is a problematic one. 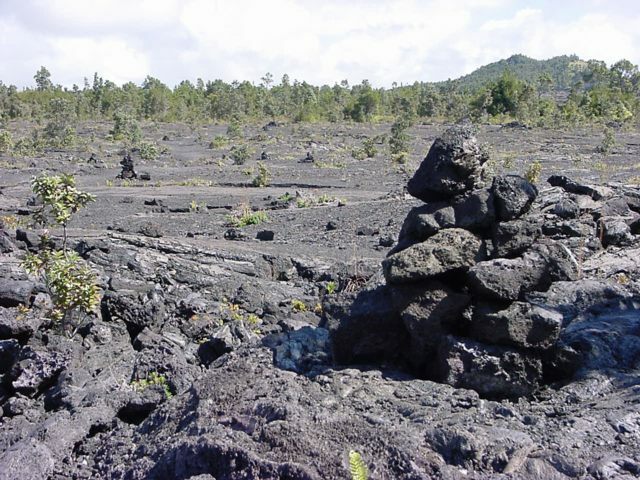 Native Hawai'ian tradition requires a proper respect for Pele, the goddess of volcanoes, and the unwary visitor disturbs the natural order of lava at his or her own peril. 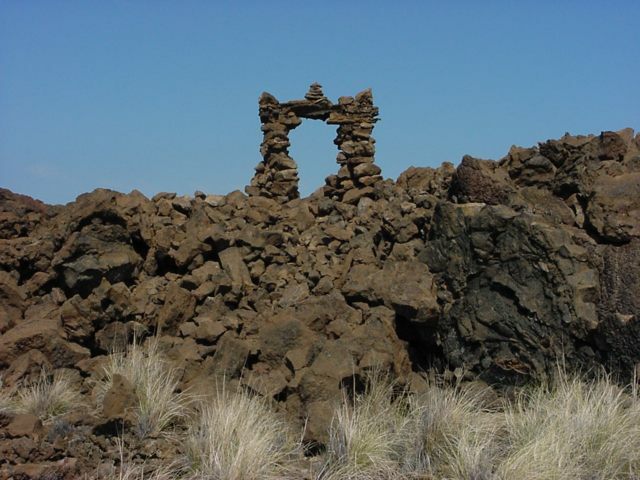 It would also be a violation of law on Federal lands if natural features were defaced or disturbed. 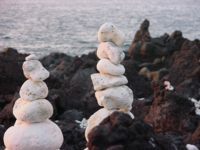 Note that while the sign banning the construction of new, durable rock piles clearly references the activity often known as "stacking", it does not of necessity forbid the less enduring, ephemeral art of "balancing", which typically involves fewer rocks, less disturbance, and commonly leaves no more trace of its occurrence than does a footprint on wet sand. Native and local semi-permanent constructions might include trail guides (ahus), altars, coral markers of fishing spots, and memorial or dedication monuments along roadways. 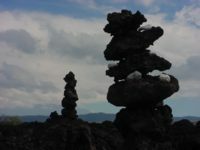 Visitors with a flair for the dramatic often prefer more scenic and deliberately photogenic locations for their temporary art and craft, lasting only long enough for a photo.